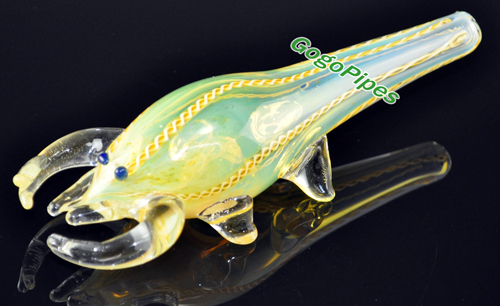 Our long tailed scorpion pipe is a beautifully hand made and well balanced piece, with a beautiful color . As discrete as any other home decoration and with an easy flip it's ready to be smoked out of. Cons: Doesn't have a carberator or vent hole. Pros: Huge pipe and very thick. All my friends want one.